Product prices and availability are accurate as of 2019-04-14 08:54:33 UTC and are subject to change. Any price and availability information displayed on http://www.amazon.com/ at the time of purchase will apply to the purchase of this product. 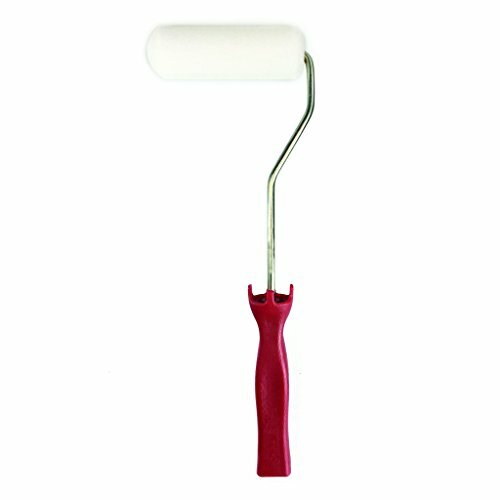 Quick Pro, 4" Foam Roller Cover, 12" Threaded Handle, High Density Foam For Ultra Smooth Finish With Water Or Oil Based Enamels, Varnishes & High Gloss Paints, Excellent For Panel Doors, Covered Roller End Paints Corners & Walls At The Same Time, 4" Roller Fits Directly Into A Gallon Paint Can, Foam Roller Refill Cover Available, Use Item #790-444 Replacement Covers.